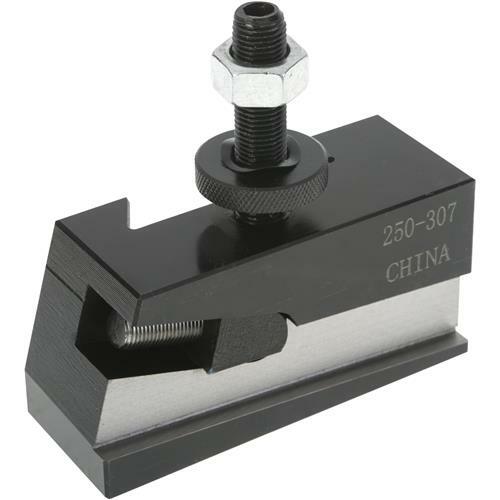 Wedge type clamping system holds bevel as well as T-cut parting tools securely in place with no vibration. Slim profile allows parting close to the chuck. Series 300. (Parting tool not included).